Sugarfree Chewing Gum with Sweeteners and Fruit and Mint Flavours. 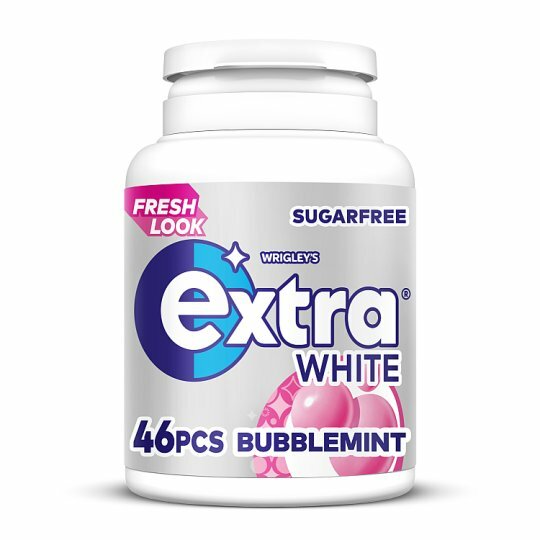 *Extra sugarfree gum is beneficial for dental health as it helps to neutralise plaque acids. Chew for at least 20 minutes after eating and drinking. UK: Freepost Mars Wrigley Confectionery UK Ltd.